One of my favorite features inside of Lightroom is the ability to add images to collections. Collections are great because they are similar to folders, but you are able to store the same image within several different collections without having to move the file itself. This way you can make changes to the file and it will display those changes to that file across all collections where it is located. There are a few different aspects to collections, so I have them listed here below. By default, the Quick Collection is the first collection you will likely have exposure to. This collection, located under the Catalog panel, is the initial target collection inside of Lightroom, meaning that when you use the keyboard shortcut B it will add any highlighted photo to that collection. Ultimately, how you organize your collections is up to you. Some ideas for collections you can use are to organize your images based on who the client is, projects you may be working on (scrapbook, books, etc. ), or even to collect skies and textures for composite images. 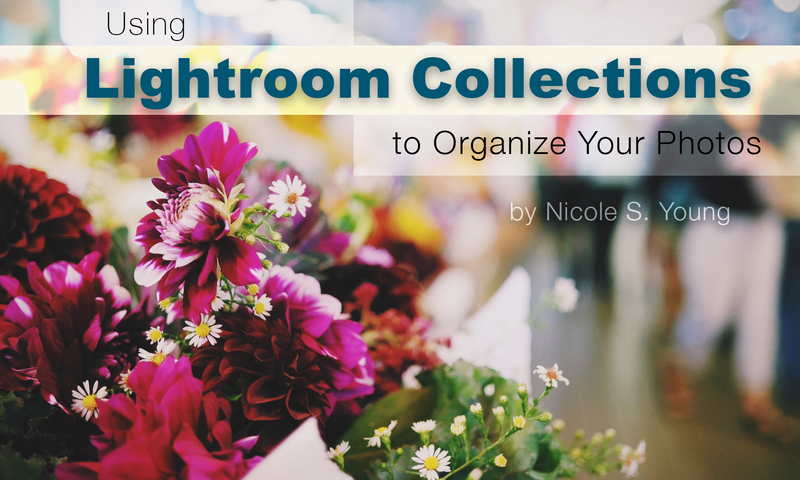 If you want to have Lightroom organize some of your photos for you, then Smart Collections is a great way to do just this. There are some default Smart Collections already inside the Collections panel, so you can take a look at those and see how they collect your photographs. And you can even create your own Smart Collection with whatever criteria you would like to specify. Excellent Article! I use Lightroom 100% of the time for all of my editing and organizational purposes! It’s the best.